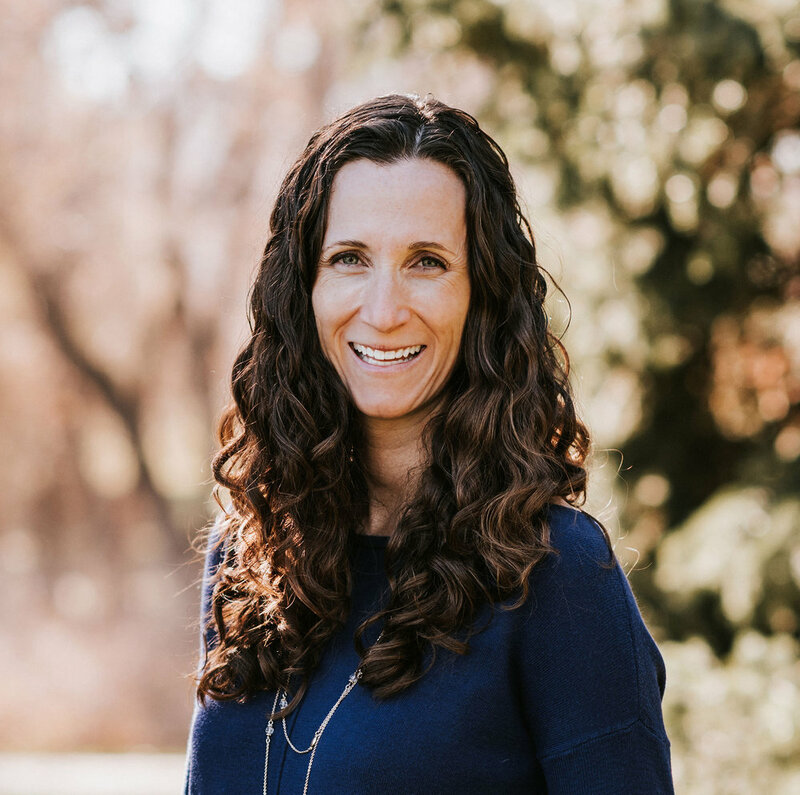 Buyers trust Carrie George with their real estate business in Kremmling, CO. Read what others have to say about working with Carrie. Buying real estate can be overwhelming process and having someone on your side to explain the details of the transaction is key. Here are some comments from people I have worked with. "Carrie was on top of everything! We didn't have to worry about due dates, missing paperwork, or if the seller was keeping up with obligations. She was also very easy to talk to and to be open and honest with questions and concerns. Carrie is the best choice for a realtor in Grand County." "It was a great experience!! I was so scared but Carrie made everything really great! She's very caring and honest :) She went out of her way on several occasions and Sunday's to show me properties and was always very pleasant!!" "Carrie was there to help us out with everything from renting to buying. She was wonderful." "We really enjoyed working with Carrie George. She was great!" "It seemed like I was just another client to my bank, insurance agent and others involved. Carrie was the only one understanding I was a first time buyer and walked me through it all. Thank you!" "Three headache-free transactions in three years - Carrie keeps us coming back!" "Carrie did an excellent job and kept us informed every step. She assisted us in selling our mobile home and in finding a new home, it only makes sense she would be a top seller! Her honesty is a virtue we truly appreciated. She is a true professional. Her knowledge and experience were very valuable." "She was creative, tactful, realistic and not pushy. She was always available and we were difficult and problematic buyers. Once we met with Carrie we would not deal with anyone else. " "Carrie was awesome. She helped us get all the information we needed for moving here including babysitter contacts. I would use her again and would absolutely recommend her to anyone buying a house! Thank you Carrie!" "We received excellent service from Carrie throughout the process. We were particularly pleased with Carrie's website where we could browse the area MLS listings without having to sign in first and then wait to be contacted by a broker. Carrie is knowledgeable, responsive and personable." "Coby and I wanted to thank you for your assistance in finding us our new home! Everything went smoothly and we have you to thank for that." "Carrie was fabulous - we would recommend her to anyone buying or selling a home." "Carrie is great! We were first time home buyers, and we were very overwhelmed with the process. When looking for an agent, we contacted several local options, and provided them with the exact same search criteria. All of the agents but Carrie responded with a daunting list that didn't match what we were looking for, or was completely out of our price range. However, Carrie provided us with a small list of available properties that matched our criteria EXACTLY. Since we lived several hours away, Carrie worked very well with our availability, and she made the most out of the only afternoon we had together. She showed us the list of properties, and also showed us a house that had not been placed on the market yet. Needless to say, that was the house we fell in love with, and we were able to place an offer before it hit the market. There were only a couple of bumps in the process, but Carrie handled them professionally and came up with solutions, with minimum effort from us. She was always available to answer questions, coached us throughout the entire process, made our first time home purchase easy and enjoyable, and provided continued support even after the home was ours! Thank you, Carrie. We truly appreciated the opportunity to work with you." "Carrie was wonderful! She is very knowledgeable of the area and will go out of her way to find answers if she doesn't know. She worked with us every step of the way and was very responsive to our many questions! We would definitely recommend her!" "Carrie was amazing from helping us locate a property thru the negotiations and closing. She answered all of our questions and was available any time of day for help. Carrie was very patient and knowledgeable and we would recommend her to anyone needing an agent." "I would highly recommend Carrie George! It took us a while to find the right home so our process was a bit lengthy. Carrie was absolutely wonderful to work with! She was extremely professional along the way and was always available for us when we had questions, no matter what time of day. The process was stressful but Carrie was always very reassuring and was always on top of everything. She was also wonderful about keeping us updated on any changes. If we decide to sell our home and purchase another in the future, we will definitely use her." "Carrie is professional and knowledgeable. She helped us sell and buy a home. I wouldn't use any other agent. Carrie is a warm and kind person who has the ability to relate to you and really has your needs at heart. No one should ever use an agent unless they can have a great relationship and trust in that agent. I believe that Carrie possesses those qualities and that's why we now own our DREAM home! Many thanks to Carrie George, she's one of a kind!!!" "After trying to work with a realtor from out of the area for a few weeks and getting absolutely NOWHERE I was lucky enough to find Carrie from one of her other listings. Carrie is excellent at her job. She works well with everyone, knows the industry, the market, and the people in the community. She knew what we were looking for better than we really did and respected our budget. I did not anticipate getting the home that we did and especially not for the price that Carrie helped us negotiate. When we ran into issues with an incompetent lender she was able to get us in contact with a better group and we were able to close 21 days after having to start from scratch AND she negotiated the extension while dealing with (what can only be called) an extremely difficult selling agent. Through the entire process I felt like I genuinely had someone on my side. When we sold our previous home the realtor barely showed up to closing, Carrie has been by our side through every step of the process and continues to check in to see how we are getting settled. If you're moving to the Grand County area you'd be doing yourself a service by working with Carrie." "I want to again thank you for everything you have done for us. You have been very supportive, compassionate and understanding and patient with me and very helpful. Jeff and I will never forget you and will always be blessed that we have had the chance to know a great, special person." "To a good friend: Carrie, I wish you all the best in this coming year. You are a very special person to us and we will always remember you. Thanks for all your kindness." "Carrie was extremely helpful and professional in her dealings with us- a pleasure to work with." "I have done real estate deals in the past and Carrie has been the most pleasant person to deal with." "Carrie kept in touch, reviewed all documents and caught errors, informative and supportive!" "I appreciate all the help Omni gave me." "Carrie was awesome - Thanks!" "Carrie has been an absolute pleasure to work with! We'd never been through the process of buying property before and she made everything run smoothly." "Carrie is top notch. Anne Marie (Omni's employing broker) you have a gem in Carrie. Thanks." "We are very pleased Carrie brokered our real estate purchase. She ensured everything ran smoothly. Her customer service skills are the best I've seen in any business." "Carrie was wonderful! She gave us professional and personal service even though on the scale of purchases ours was small. Thank you! "Excellent response to questions and concerns!" "She was readily available, promptly answered my emails and phone calls. I was very pleased with the service I received." "Carrie was outstanding in every way. She went out of her way to show us homes and help us through the process. Thanks!" "She found our perfect house in a horrible market and was as happy as we were about it. I tell everyone to call Carrie." "Carrie George is wonderful!! Very patient, very responsive, very professional." "Carrie restored my trust in Realtors! She wasn't a typical "slick" type I had dealt with in the past. She is a GREAT asset to your company!" "Carrie was a wonderful realtor and was quite professional in helping us to complete the purchase of our parcel of land. She was thoughtful and insightful from the beginning and beyond the closing. Carrie has been quick to respond to our communications and proved to be quite knowledgeable about the process but in particular to the area in which we purchased. We did take note that her name was on most of the listing signs and far outweighed any other realtor listings. I can absolutely see why she is well trusted by the people in the area. I would recommend Carrie to represent you on either side of the deal." "I am an older single woman who never really thought that owning a house was a possibility for me. Carrie, from the very beginning, was able to answer all of my questions in a way that gave me confidence throughout the whole process. Her knowledge was amazing and offered in a gentle manner. The few times that I asked her something she did not know, she had the resources to get the answers for me. Now as I sit comfortably in my new home, I realize how well Carrie listened to what I said my needs and wishes were for a home. She matched them so well. Again... I never planned on being a homeowner, thought it would be too difficult, but Carrie made it easy. I would recommend her to anyone." "Carrie made my buying process very, very easy. This was my first time buying a home so had no clue what to do. She was extremely helpful. I am so happy with my home and couldn't have purchased it without her." "Carrie George is the best realtor we've had the pleasure of working with! She was kind, patient, honest and reliable! Every time we thought we were close to making our big move something always seemed to happen. Carrie was the ultimate professional, yet caring and kind! I would recommend Carrieover any realtor around!" "Everything Carrie did to help us find our dream home near Kremmling was far beyond what we could have ever expected. What an awesome person! She was always available to answer questions, provide important information, and keep us updated throughout the whole process. We now consider Carrie to notonly be our real estate broker, but a very dear friend as well! Don't even think of using another broker for your real estate needs in Grand or Summit County!" "After feeling uncomfortable with the realtors at the big national chains that have offices in Kremmling, I contacted Carrie at Omni. We felt immediately at ease and felt she had our best interests in mind. She provided us with a variety of local contacts for well and water testing, and served asan excellent facilitator with the owner throughout the process. We recommend Carrie to anyone who is interested in property in the Kremmling area. You'll gain your first friend in Kremmling as a bonus!!" "Carrie is a wonderful Broker. She is very knowledgeable of the market, she listens very well and she quickly understood what I was looking for. She was patient to find the right property for me, and did! She is very organized, her guidance made the process go very smoothly. Starting with Carrieand the entire team of folks was incredible. She made owning a home a possibility for me, it was a wonderful experience. I would trust her again if I ever had to sell or buy a home." "Carrie was excellent in helping us buy a foreclosure in Kremmling. She acted quickly and negotiated a great price on the purchase. She was always "on top" of deadline and dates we needed to be aware of. We never felt like we were out of the loop or not well communicated with. We would recommendCarrie as a Realtor, she was honest, knowledgeable, organized and professional." "Carrie is the epitome of professional! We worked with her to buy a new home and to sell our old home with the closings within a month of each other. Both transactions were extremely smooth and stress free due to Carrie. She is great at communicating - not one deadline missed thanks to herdiligence. She has excellent knowledge of the area, and is extremely patient. We looked at vacant land, homes, vacant land, homes....Carrie was extremely supportive and helpful the entire time, and helped us act quickly when we made a decision. I would recommend Carrie to anyone looking to buy or sell real estate!" "When we decided to buy a house in Grand County we looked long and hard for a real estate agent to help us. After reading Carrie’s reviews and speaking with some friends in the area we knew she was the one for us! Carrie is AMAZING to work with and never left us hanging if we had questions. Infact, I can’t remember a time that she wasn’t available to answer questions or look something up for us. Not only did she stay on top of everything that needed to be done (on both our side and the seller’s side), she also went above and beyond and was in constant contact with our mortgage broker to help ensure we had to best options possible for our funds! Carrie has the most knowledge about the area and resources that we have met and will be there to help even after you have closed and you are in your house! Best of all, Carrie listened to our concerns and wants and never faltered on her delivery. She treated us more like friends than a business deal! We love Carrie and will recommend her to anyone who needs to buy or sell in Grand County!" "Carrie is by far the best real estate agent I have very used and I've used many in my many moves for work. Carrie was the listing agent for the house, agreed to show me the house, and was able to give me a lot of information and history on the house and the area without any pressure. When I decidedto make an offer, she acted as a transaction broker and provided me with better service than any buyer's agent I've ever used. When I needed answers or an additional inspection done to make up my mind, she knew all the people to get and aided me in making my decision. In the end it was the best real estate transaction (for both seller and buyer) of my life. Carrie, is Trustworthy, Hard Working, Patient, Responsive, and Knowledgeable. If you are looking to hire real estate agent, you can not do better." I want to thank all of the wonderful people I have had the pleasure of working with and I look forward to the opportunity to work with you! Please call or email me for more information about your real estate needs in the Kremmling area. Thank you!